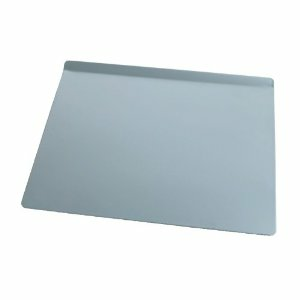 Non Stick measures 16.5" x 14.5 inches. The Fox Run Kitchen's Preferred non-stick was designed specifically for Fox Run. This collection features our exclusive premium non-stick coating, which provides quick, easy release of baked goods. These pieces are made of heavy gauge steel to prevent warping and allow even heat distribution for exceptional baking results.